Sweeping changes have taken place within financial services over the course of the past thirty years in response to a variety of influences, such as changes in customer attitudes, an evolving regulatory environment, innovations in information technology and the intense level of competition within the sector. In addition, the global financial crisis has had a huge impact on the perceptions of stakeholders and on the reputations of organisations operating in financial services. 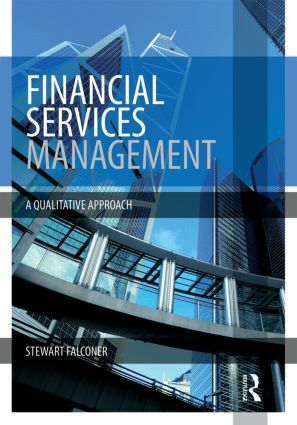 This new textbook introduces management with a focus on concepts, theories and skills particularly suited to the financial services sector. Beginning with an overview of the development of management theories through history, the text then focuses on topical issues such as organizational design, the use of information technology, the development of a marketing orientation, social responsibility, ethics and, the influence of the external business and social environments and organizational development and the management of change. This practical textbook mixes theory with application throughout - employing a variety of case studies and examples to render the topic both accessible and memorable. The result is a resource that will help lecturers teaching management skills and students keen to develop their financial services understanding.